It's historic because, indeed, it was a rare occasion when those two royals were ever at the same event, and this particular event was probably unique in its warmth and intimacy. 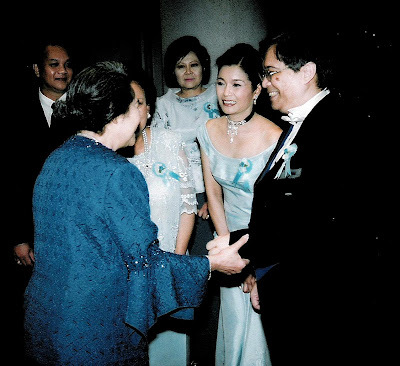 I begin the year with a photograph of the Bangkok Opera's erstwhile patron because though all Thailand mourns Her Royal Highness's end, it is beginnings for which she will be most remembered. Her special gift was to set a person on the road and nudge that person into beginning — a new adventure, a new life, a new outburst of creativity. In music, she loved to give young people a start. Indeed, one of her most lovable (and unpredictable) traits was to decide to come to a concert, sometimes on a day's notice, when she read in the paper that a particularly talented young person was giving a recital. Her delight in young talent was genuine and went far beyond what might be perceived by some as a royal duty or obligation. Though I was saddened, a year ago, when Her Royal Highness wrote to me to say that her doctors had insisted she retire from some of her most active patronages, I knew that what she had given us was already beyond price. The five years that she was with the Bangkok Opera were a phenomenal transformation of the music scene that affected far more than opera lovers. (Indeed, the princess once confided in me that she didn't care for opera as much as for "pure music" -- the bits without singing.) What she gave the opera was the courage to dare, and the confidence to know that despite the difficulty of establishing new art forms and a new audience in this country, there would be psychological support. I do not believe that Her Royal Highness's influence over the domain of music is over. Indeed, it can only increase as the true extent of her legacy becomes clear. 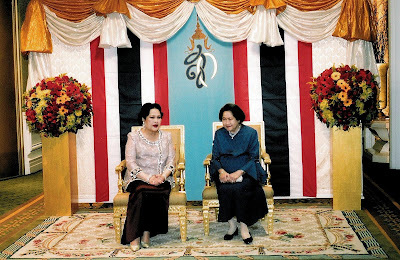 It is obvious that, even before Her Royal Highness passed away from us, some people were already jostling to impose their own agendas on that legacy, but I strongly believe that the things this princess believed in will triumph and will do so in a spectacular way. So here's a little clip from the happy times: it's Trisdee, playing the Mozart A major piano concerto when he was only 16, just after the Siam Philharmonic Orchestra was created (in those days still called the Bangkok Sinfonietta". Her Royal Highness was in the audience. Next month, on February 22, Trisdee plays the work again at the CCT Auditorium. We'll think of the princess and her delight in youthful beginnings.